Liege Security is recognized as a leading provider of Security Guard services throughout the State of Florida. Liege Security provides Security Guards, and security solutions for both Government and Private sector clients to include Communities, Construction Sites, Government Facilities, Retail Locations, Private Schools, Financial Institutions, Health Care Facilities, Warehouses, and much more. 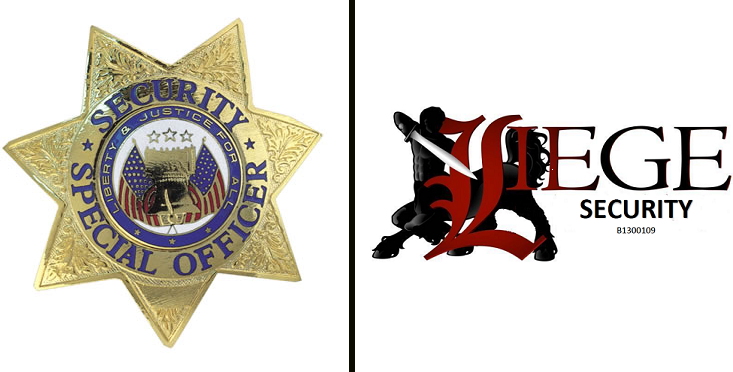 Liege Security is a Veteran owned, State of Florida Licensed and Insured Security Guard Agency. Community and Workplace safety is everyone’s responsibility. But, we understand you’re busy. While you’re busy, we’re vigilant. Contact us to ensure the utmost safety of you and your loved ones. 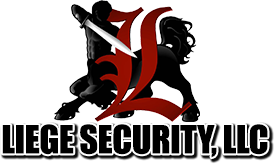 Liege Security was founded in April of 2013 by US Army Veteran and Palm Beach County native Eric D. Robinson. Eric is a Veteran of the US Army’s 82nd Airborne Division and has deployed in Support of Operation Enduring Freedom (Afghanistan) on multiple occasions. Eric now serves as the Operations manager for the agency and, along with a team of area managers, oversees each site and every guard to ensure a quality service. Though based in Delray Beach, the agency covers properties as far south as Homestead, and as far north as Jacksonville, FL. All guards hired by Liege Security hold and maintain a valid Florida D - Security Officer license, a valid Florida G – Statewide Firearm License, a valid CPR and First-Aid certification. Liege Security takes pride in providing our clients with the most professional Security Guards. Our preference is to hire and train Military Veterans, prior Law Enforcements Officers, first responders, or guards that have extensive experience in the industry. Drug tests, background checks, and writing tests are required for all guards prior to employment. In addition to top security professionals, Liege Security also integrates other security solutions to provide safety for our clients. These solutions include cameras monitored by our guards at a central location, and GPS tracking and reporting technology to provide necessary personnel with real-time reports. Thank you for your interest. To schedule your free consultation, please use the information listed here. We look forward to hearing from you soon.